North Goa has some of India’s best beaches. Shacks in North Goa are country’s best beach shacks, that should not be no surprise. 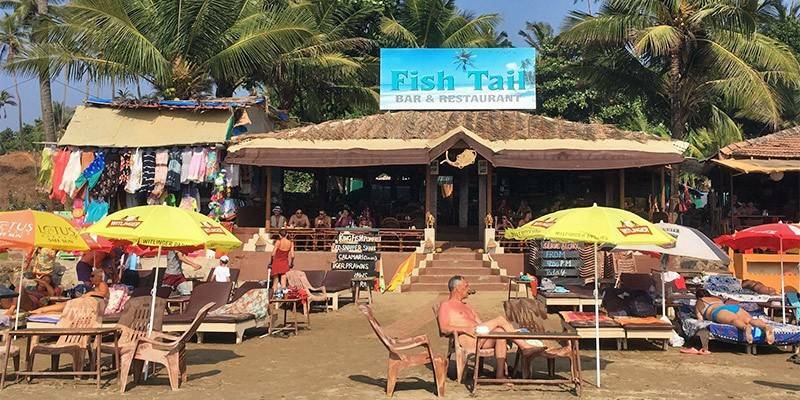 Goa’s little beach shacks serve an array of delicious foods from all over the world, although when in Goa, visitors must try out some of the local seafood dishes, here. These shacks are not your typical high end restaurants, but have various amenities that include deck chairs for sunbathing, pool tables and of course, a mouth-watering selection of menu items. 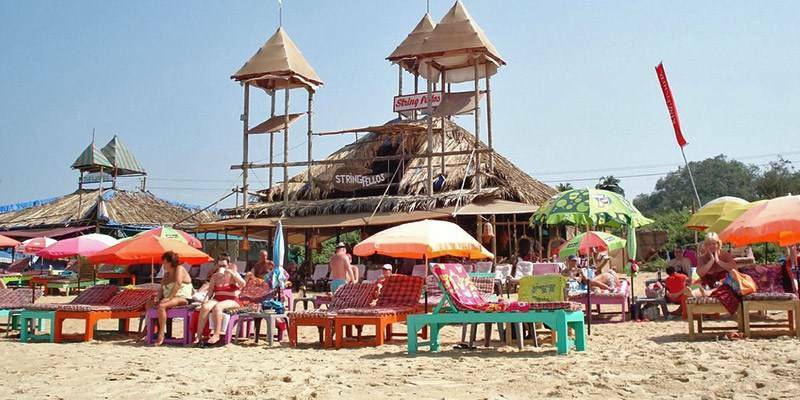 This list puts together some of Goa’s trendiest beach shacks, guaranteed to make your trip to the state, a whole lot more exciting! With an interesting mix of American, Italian and French cuisines, La Plage is a comfortable little shack decorated with candle lit, wooden tables and soft lighting. The humming of the gentle sea waves provide soft, smooth background music, as visitors enjoy a wide spread of seafood delicacies. Wooden chairs are spread out across the shack, so visitors can tuck their toes into the warm, yellow beach sand, while sipping a cool, refreshing cocktail, or indulging in the shack’s collection of large, juicy burgers and piping hot fries. La Plage has quite an extensive menu, with very large servings per plate, so guests should order food bearing that in mind. 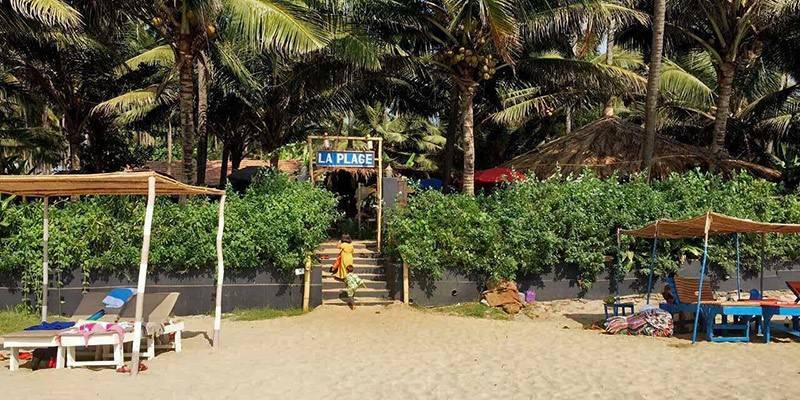 Also, it is suggested that guests reserve a place in advance at La Plage because although the shack is situated away from the more happening parts of Goa, it is still usually full during peak lunch and dinner hours. Serving a wide range of Continental cuisines, Sunny Side Up is the perfect destination for tourists looking to have a fun, feet-in-the sand dining experience! Known for its fusion cuisine which draws inspiration from Asian, American and European styles of cooking, Sunny Side Up offers its guest fresh and exciting dishes, cooked to perfection using organic ingredients. Guests can also indulge in the shacks’s unique collection of cocktails or sit back and enjoy a more traditional seafood dish like the Ginger Battered Calamari, under the shack’s soft, candescent lighting. Sunny Side Up is vakue for money place and guests can always choose cheaper, lighter items from the menu which promise to be just as delectable as the more expensive dishes. 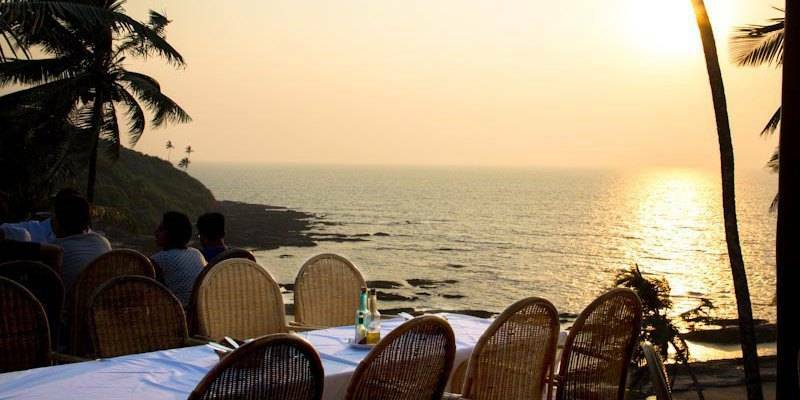 With the ocean just a stone’s throw away, and the gentle sea breeze wafting in through the open doors, Sunny Side Up in Goa definitely offers its guests one of Goa’s best beach side dining experiences. One of our favourite, known for its lavish array of Continental, North Indian, Goan and Chinese delicacies, Palms n Sands offers its visitors one of Goa’s best feet-in-the sand dining experiences. The shack is equipped with large deck chairs right on the beach, where guests can stretch their feet and rest for a while, sipping an iced cocktail. Candlelit tables and soft lighting set the mood of the place- perfect for couples looking for a romantic night out. The vegetarian kebabs sautéed gently in soy sauce is quite a popular dish here. Needless to say their mouth-watering seafood dishes- especially the calamari, fish and prawn items- are always fresh and cooked to perfection. The staffs are warm and welcoming. The service is prompt and the food is finger-licking delicious. The Palms n Sands Beach Shack offers guests a sublime, peaceful environment in which to enjoy some of Goa’s best, most sought after food. Serving delectable Indian, Chinese and Seafood items, this cosy little shack has welcoming staff, a warm ambience and some great music. Visitors get to enjoy their food under the cool shade of a palm leaf roof. 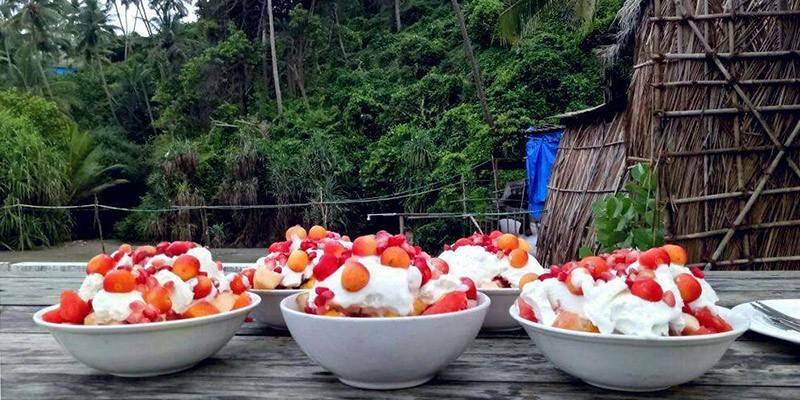 The restaurant itself is set up in the style of a large, open hut on the beach so the cool sea waters and the refreshing ocean breeze are not too far away from the diners. Visitors can sip delicately on their iced drinks or munch their light, hot, evening snacks as they watch the mesmerizing sunset. The gin cocktails are pretty popular here and their Chicken Biryani is said to be very tasty, too. The servings are quite generous, and the prices are quite reasonable, also. The Stirngfellows Beach Shack is located away from Goa’s busier tourist hubs so is perfect for those looking for nice, quiet dinner or lunch by the sea. 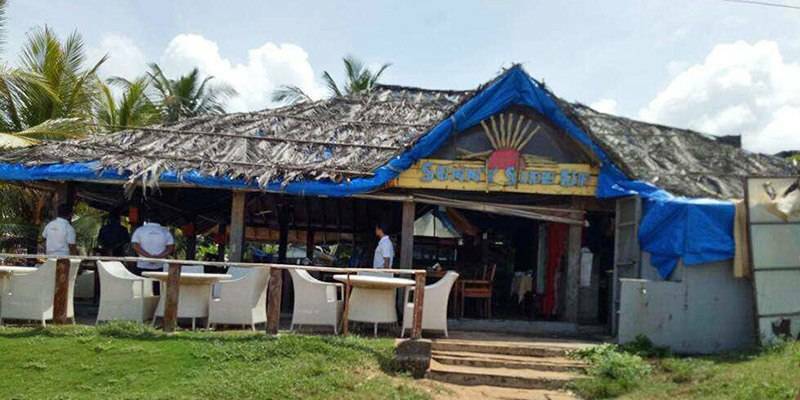 This shack is a must-try for any visitor looking to indulge in authentic Goan, Portuguese, Konkan or Continental cuisines. The Kingfish Balchao and the hot, crispy fried prawns are pretty popular dishes here. To top off their meal at the Pousada by the Beach Restaurant, visitors can order the sweet, delicate Bebenka and Dodol pudding for dessert- a true Goan delicacy! The shack is equipped with a set of beach chairs but it also has the standard, wooden dining tables from which visitors can get a spectacular view of the sea beach. Sitting under the shady matte roof, sipping a large glass of delicious, iced, Strawberry Mojito, is the best way to beat Goa’s summer heat. With decent servings and relatively reasonable prices, the Pousada by the Beach Shack lets visitors experience mouth-watering local delicacies, cooked to perfection and served piping hot right on the warm, sandy beach. 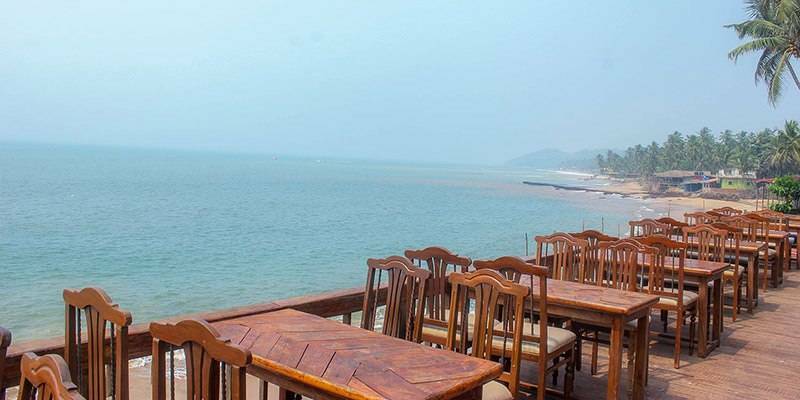 Just a short walk away from the busier parts of Cadolim Beach, Ryan’s Shack is a perfect go-to place for those looking to enjoy some delicious Seafood, or some very tasty North Indian or Chinese dishes. The Biryani is said to be extremely delicious here, although the Rava Fry Kingfish or the Butter Garlic Prawns are finger-licking good, too. The shack does not have an extensive menu, but they ensure that the dishes they do serve are fresh and cooked to perfection. The restaurant is right on the beach, so visitors can relax on the large cane chairs and watch the gentle waves brush against the deep, golden sands. 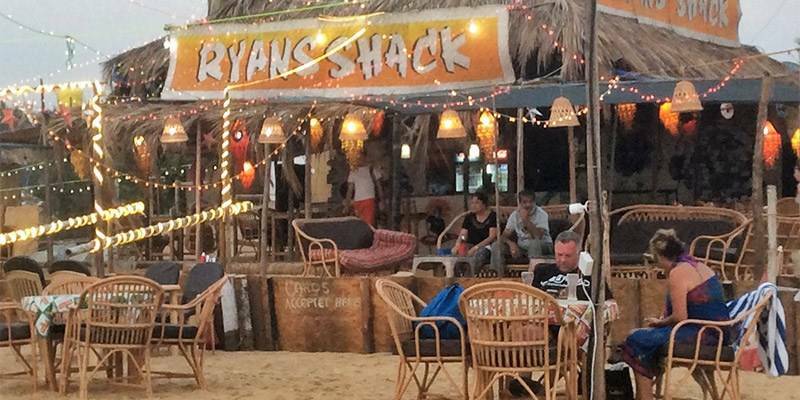 With dry palm leaf finishing, large colourful umbrellas and a cool, shady matte roof, Ryan’s Shack offers guests one of the best dining experiences by the sea. Right on the beach, Our Shack is perfect for family getaways. The shack does not have too many options for vegetarians, but its non-vegetarian dishes are truly one of a kind! The restaurant has quite an extensive menu serving some very succulent Mediterranean Food apart from the commoner Goan seafood items. Some visitors might be put off by the high prices at this place, but there are many cheaper items on the menu, too, which promise to be equally appetizing as any of their more expensive dishes. The view of the sea from here is absolutely captivating. A quiet seat outside on the beach, on one of the restaurant’s cane chairs, with gentle music playing in the background, is definitely a breathtaking and exceptional experience. With its distinctive orange roof and a laid back environment away from some of the busier beach shacks, Our Shack promises its guests an unforgettable dining experience. Serving a range of Seafood, Continental, Chinese and North Indian cuisines, this beach shack is extremely accessible and very easy to find. Complete with large, plastic deck chairs on the beach, and smaller cane chairs and dining tables in the restaurant, the Fish Tail Shack offers its guests both outdoor and indoor seating and dining arrangements. The place also has free Wi-Fi for its guests and is open all year round. The crispy fried calamari and seafood dishes are quite popular here and that, with a large glass of iced-tea will make for the perfect lunch here. The pizzas and pastas are not as popular as the other dishes, but are just as tasty, for those tourists looking to indulge in something a little different from the regular seafood items. 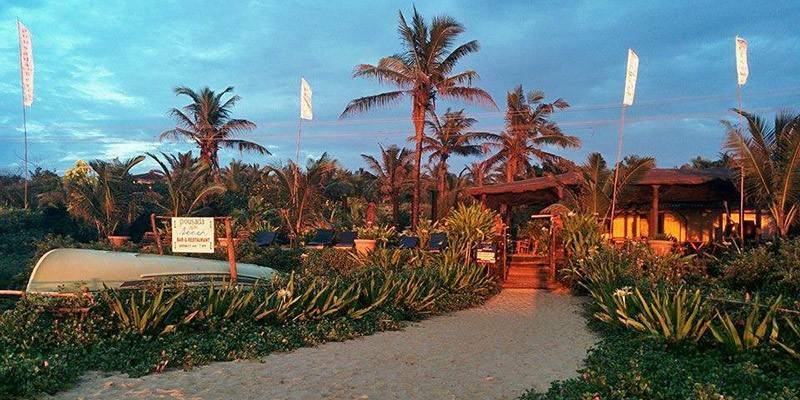 With welcoming staff and a warm ambience, Fish Tail is the place to be when visiting Vagator! Serving unique Mediterranean and Greek cuisines, this beach shack maybe a little pricey and crowded (thanks to Lonelyplanet listing few years back), but it offers its guests a great ambience to dine in, complete with soft music and live performances. The place is always crowded so finding a table here, especially during sunset hours, is quite difficult. The shack is equipped with large white cane chairs and tables covered in flowing, white tablecloths. The bar, bamboo decor and matte roof are all painted white, almost mimicking the silvery, sandy Vagator Beach. Their Meat Platter is always on high demand, as is their Vegetable Moussaka and to top it all off, guests can order from a range of interesting deserts although nothing beats the famous Baklava. With glorious views of the sunset in the evenings and the deep, blue sea during the day, the Thalassa Shack is the perfect destination for tourists looking to spend a fun night, dining out. Curlies is North Goa’s most famous beach shack and serves a wide array of delicious Goan, Italian, North Indian and Continental cuisines. 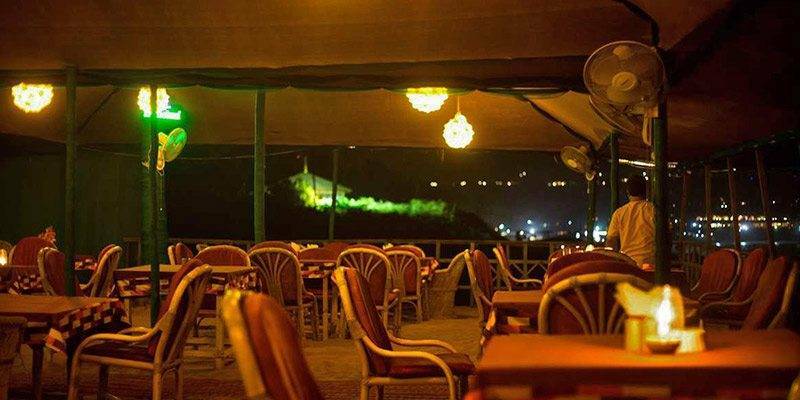 It has a lively nightlife with loud music, fluorescent lighting and live performances. Having a nice dinner under the starry night sky enjoying the lulling sounds of the waves nearby, is a magical feeling. The service is quite prompt and the staffs are always warm and welcoming, too. The shack offers its guests deck chairs in which visitors can sit and sunbathe, while sipping on their large glasses of Long Island Ice Tea or munching on some small, seafood fritters. The Chicken Steak and the Roast Beef are quite popular here. Curlies also serves a range of cool alcoholic beverages at reasonable prices, perfect to tackle the summer heat. Dining outdoors with the blissful sea breeze and enchanting sunset views, here, is truly a one-of-a-kind experience.